South Africa is a perfect nation to which to apply Mission 2017′s solutions. 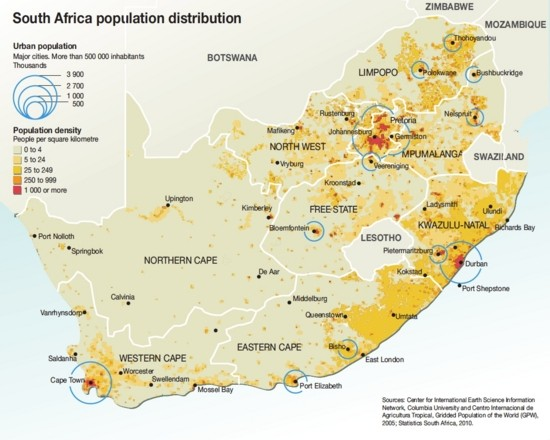 We will be using South Africa as an example of how the various solutions presented throughout this site can be combined and implemented in real world scenarios. Gauteng, located at the heart of South Africa, is the smallest and most populous province in the country. With just a 1.5 percent of the land area, it houses a fourth of the country’s population. Due to its high growth rate and dense population, local government agencies predict that for cities like Johannesburg and Pretoria, water will run out within the next five years . The water crisis is not just a problem for its most cosmopolitan area; in fact, the entire country’s demand for water is expected to outstrip supply by 2025 . Looking at these problems, Mission 2017 is considering global water solutions that for South Africa will maximize efficient water modifications of practices in agriculture, energy production, and water infrastructure design. Water conservation in South African agriculture depends on the development of mutually beneficial international partnerships and information networks. Over half of South Africa’s water usage is for irrigation . When both commercial and subsistence farming are considered, much of this water also goes to irrigate large tracts of land purchased by foreign countries who use South Africa’s water to grow crops that are then exported. To minimize this trend Mission 2017 recommends that groups of landowners partner with foreign investors in exchange for investment in infrastructure. In Zambia, for example, 120 smallholders entered into a partnership in which they gave up 80 percent of their land to the company and split the remaining into individual lots between themselves. After 25 years, per their agreement, the farmers will receive their land back but, in the meantime, the investors have built irrigation systems that will remain viable for 40 years or more . Potential dangers of the partnerships include poor farming practices, stewardship, a corrupt system or not completing promises in the contract. Mission 2017 identifies that the best partnerships are when the public’s opinion is taken into major consideration and when there is reliable governmental oversight. To promote efficient water use, information regarding market prices and water saving techniques should be made available to these farmers with smallholdings. For example, in 1997, the Kenya Agricultural Commodity Exchange used a website, radio station and text messaging program to share market information between private companies, with “results show[ing] a statistically significant difference between member and nonmember of ICT (Information Communicative Technologies)-based projects with regards to share of sales, income, and transaction costs” . Instead of sharing information about market prices, Mission 2017 suggests to share information about technological innovations for water conservation. It would serve as a water usage self-regulatory network as well. As seen in Figure 2, sharing information would be no problem. Currently, more Africans own cellphones than have access to water and the number continues to increase. 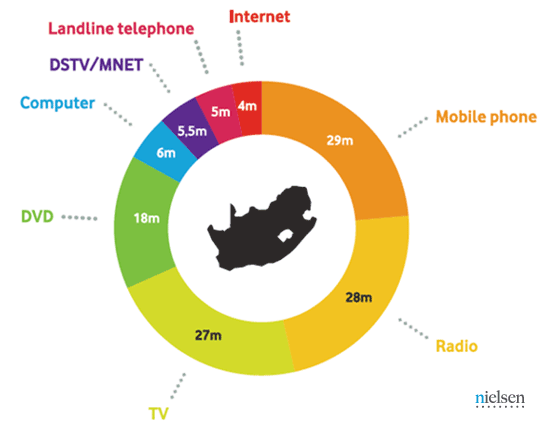 South Africa is ranked number five in the world for mobile data usage and text messaging is the most preferred method of communication . It is recommended to form a similar company funded by South Africa’s government that would design an app for phones. This application would keep farmers up to date with ways to cut back on water usage but could be a place where farmers input data so that it can be analyzed for future studies. The more information entering the database, the more can be learned from it and help to motivate future water conservation projects and movements. We suggest a number of changes that can be implemented at the individual farm/small community level. For immediate results, efforts should include fertilizer regulation and field modification. Promoting public health and conservation through educational programs should be a priority as well. Fertilizer overuse can pose a health hazard as it can leak into groundwater and cause eutrification of water bodies. Mission 2017 suggests that small groups of researchers be deployed to communities in South Africa to familiarize citizens about groundwater contamination from agricultural practices. This way the community can take ownership of protecting their drinking water with regulations with respect to fertilizer use. We suggest a period of about five years for study, establishment of protocols and regulations, and establishment of best fertilizers for both agriculture but also human heath. Leveling of fields allows farmers to reduce water use by eliminating irregular elevation; instead of flooding the area at all times, there could be surge flooding over certain time intervals. For example, watering at night would be ideal since less water would be lost from evaporation due to the sun. Farmers could also capture and reuse runoff water, as well as line irrigation canals that deliver water to the fields. By installing bricks, concrete or plastic lining, water efficiency can increase up to 35 percent . Mission 2017 proposes to deploy teams to talk to local officials in rural communities and discuss water-loss use issues. Once local communities are made aware of the large loss of water due to lack of canal lining, engineers, government officials and citizens would be encouraged to join forces and coordinate details of implementation. 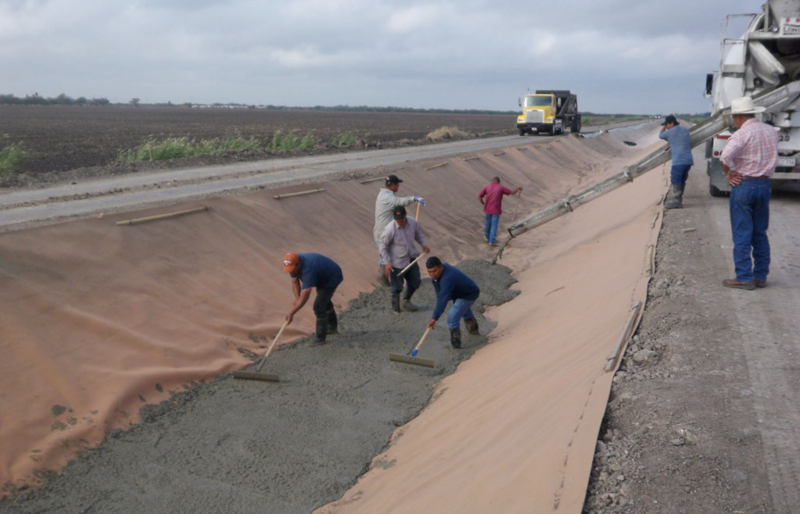 A significant amount of lined canal can be installed relatively quickly, for example, a 2000 meters canal can be lined in seven days but a small, which could take seven days but a small team to line . The government could offer jobs for canal lining emplacement or any other type of water infrastructure to encourage people to complete the project. Funding would also be derived from the World Bank or Public-Private Partnerships. In this scenario, the success of future projects will be ensured because this plan was implemented by and for South Africans who also developed the policies and installed the infrastructure. The same plan can be applied to installing purification stations that capture and filter runoffs in order to protect the people from the harmful effects of fertilizers. 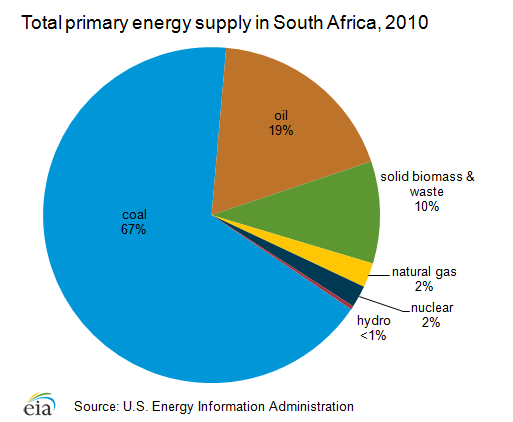 South Africa is heavily dependent on foreign suppliers for fuel and is thus subject to price fluctuations . This, and the desire to reduce emissions, has led South Africa to enact legislation requiring petroleum manufacturers to produce fuels composed of ten percent of bioethanol and five percent biodiesel . Although this plan is conservative compared to the international trend, the impact on water use is not clear and therefore a cause for concern . Water availability is the limiting factor for the selection of biofuel feedstocks in the country . The South African Water Research Commission evaluated the growth of different feedstocks in different areas – and found that, for example, Sweet Sorghum would not necessarily be the most water-efficient choice although it is typically a water-efficient biofuel . Mission 2017 recommends that South Africa evaluate the water, carbon dioxide, nitrous oxide foot prints for all biofuel projects and choose feedstocks that consider trade-offs. We must get maximum fuel yield using the least amount of water and emitting the smallest volumes of green house gases. Once these studies are completed for each region, the process can be scaled up. Mission 2017 also recommends that South Africa investigate using biomass waste to provide some of their bioenergy, and recommends to further consider the use of wastewater to supplement or supply the water demands of any biofuels they choose . Mission 2017 believes the most viable sources of water for densely populated areas like Gauteng, are aquifers recharged by rain and runoff as well as ancient water that filled aquifers thousands of years earlier when climate was different. If groundwater is available, wise use is an excellent way to supplement water supplies. It is far cheaper to produce groundwater than to build large dams for example, unconfined aquifers are especially beneficial in areas with seasonal rains that recharge the aquifers. However, extraction without an eye towards management and recharge is unsustainable. Artificial recharge is the best method to replenish unconfined aquifers. Runoff from rainstorms is collected in basins and tanks and allowed to percolate back into the aquifer. This enhances natural recharge; Mission 2017 estimates that it would cost $200-500 million to install a large artificial recharge system that could be finished by 2020 . Funds would be sought from mining companies and industry, local and national governmental agencies as well as the World Bank. South Africa should also increase recycling of water from both ground and surface water sources. By filtering sediment and treating the water to eliminate bacteria, sewage water and industrial water can be recycled and reused for agricultural purposes. Currently, Israel recycles four times more water than any other country and is increasing relying on desalination as a water source and can thereby serve as a potential model for the implementation of similar plans in South Africa . South Africa needs to accept the water crisis and should be poised to implement changes in order to systems more water-efficient. Mission 2017 proposes recommendations to agricultural practices, energy processes, and water availability. Some of these solutions can be implemented in the next few years such as canal lining, while others will take longer to set up. Nonetheless, South Africa should take these solutions into consideration as it works to prevent a decreasing water supply. 2. Allan, T., Keulertz, M., Sojamo, S., & Warner, J. (Eds.). (2013). Handbook of Land and Water Grabs in Africa (214-215). New York, NY: Routledge.